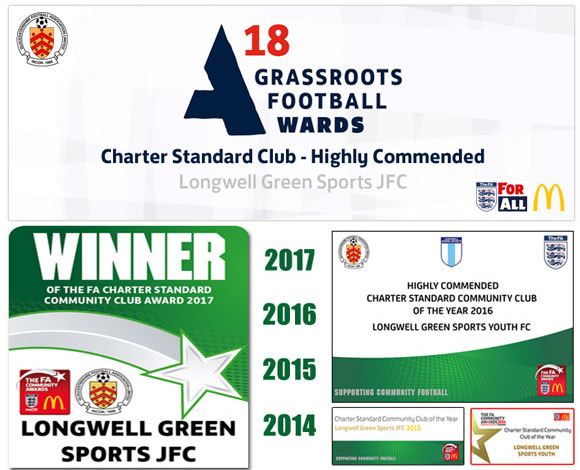 Longwell Green Sports JFC Charter Standard Community Club of the year 2014, 2015 & 2017, highly commended 2016 & 2018, GFA affiliation no U-GLO2681. Also Bristol Post Community Club of the year 2017. We are a friendly but competitive club running boy's teams from Under 5 through to Under 18 and Under 5 to Under 18 for the girl's section too. With 50 Junior squads (770 boys & girls) linked to 4 seniors sides, men's & ladies (150 adults) we are now one of the largest clubs in Bristol but always welcome newcomers to the Longwell family. We also now have a group for 2 & 3 year olds please see the story below 'Longwell Littluns' and an inclusive group covering all disabilities boys and girls ages 6-16. We have a Facebook page 'Longwell Green Juniors FC boys & girls' why not 'like' this page and receive all our updates. 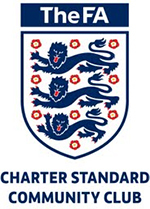 Take a look around and if you want to contact us please use the link to the left via the 'contact us' link OR to contact a particular age group please use the club details link and click on the managers name or just email me.